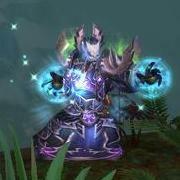 We have just released our first raid guide for Mists of Pandaria: Salyis's Warband. As you will find, this is a rather simple, introductory encounter. Your comments, feedback, and suggestions are always welcome! Hopefully as it goes live it will be possible to get more information on the spawn timers! Do you think a sort of realm wide 40 man group may be able to take it on at level 85? Or do you think being level 90 with gear will be required?